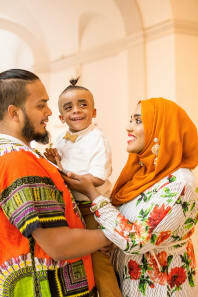 Guzman’s statement is borne out by “Muslims of America,” a photo series portraying everyday subjects as diverse and modern US citizens. The images depict college students, mental health counselors and activists, in places from Illinois to Kentucky and Louisiana. The photographer and activist hopes that his ambitious project can help tackle stereotypes of Muslims in the United States today. Featuring people of various different ethnicities, ages, backgrounds and branches of Islam, the series comprises 73 portraits from 26 US states. Guzman’s goal is to take 114 portraits across all 50 states, symbolizing the 114 chapters of the Quran. Catholic Church insiders are calling for Pope Francis to resign. Here’s why.